If you’re concerned at all about your appearance, you’ll realize the most looked at feature on our body is the face. We look at our face the minute we place ourselves in front of a mirror, and as we age, we find ourselves looking for those tell tale signs such as fine lines on the brow, around the eyes, and especially around the mouth. While everyone eventually gets these — either through age, genetics, sun exposure, smoking or combinations thereof — , women, more so than men, are prone to developing wrinkles around the mouth. These wrinkles run from the bottom of the nose to the corners of the mouth. These are vertical lines that are found at the corners of the mouth. They can give your face a downturned expression, and give you a serious or angry look, even when you’re relaxed. 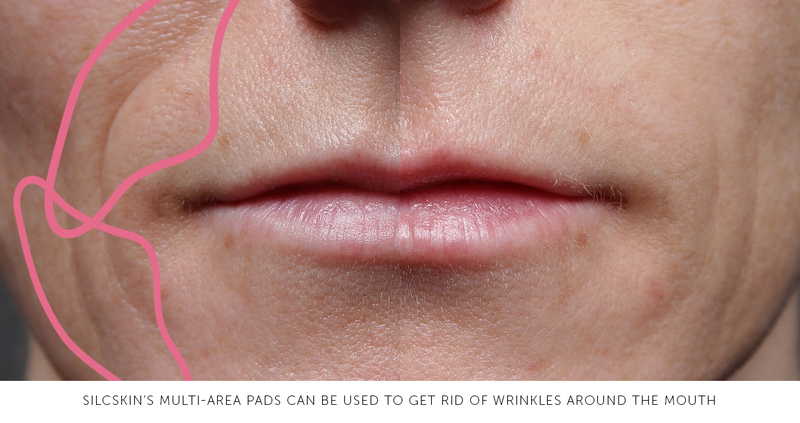 Wrinkles around the lips are mostly caused by regular movements of the lips, and therefore are unavoidable. Also called smoker lines due to the fact that the lips are pressed together when smoking, these lines get worse as smoking progresses. Treatments for wrinkles around the mouth vary. If you’re a smoker, then the most obvious remedy would be to quit! Not only will this help these particular wrinkles from getting worse, it will also improve your overall health and help add years to your life. Other options are resurfacing the upper lip with lasers, dermabrasion or a chemical peel. All are designed to create a wound in the skin and stimulate the skin to produce new cells. Fillers (Restylane and Juvederm) can help add volume and soften lines, but if you have fine lines, don’t expect to see too much of a difference. Grape seed extract may also help with deep wrinkles. This extract has natural antioxidant properties and can help restore elasticity to your wrinkled skin. Massage the grape seed extract into your deep wrinkles daily to keep your skin looking young. An over the counter anti-wrinkle cream may also help in reducing the appearance of facial wrinkles. Face-tightening exercises may also help. GeniusBeauty.com suggests standing in front of the mirror and performing facial exercises for 15 minutes every day to reduce the appearance of wrinkles. Start by stretching your mouth as wide as you can, as if saying “cheese.” Hold the position for two seconds, then pucker your lips together tightly so that your lips almost touch your nose. Hold this pose for two seconds, then stretch your mouth back into the “cheese” position. After two seconds, stretch your lips forward and down, as if saying the word “go.” Hold for two seconds, then relax. Repeat the entire routine 20 times.